Born May 31 - sometime in the previous century – into a dales family, Graham grew up amidst the beauty of Gouthwaite nature reserve in the upper Nidd valley of the north Yorkshire dales, England. Without doubt the finest all-round artist to have ever emerged from the dales. Never restricted by trends or a jaded music mainstream, his output has constantly shifted as his recording history suggests. 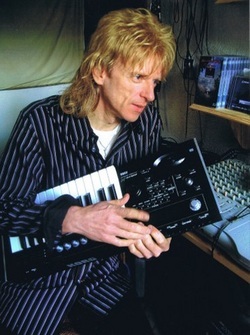 The recordings have varied from his musically demanding roots of ‘progressive rock’, to song writing and his main instrumental output of atmospheric music. His creative life runs parallel with his homeland and love of rural wilderness. It all reflects an image far from the hustle and trappings of the modern world. So, it’s easy to see why he writes the kind of music he does, the rolling hills which surround his studio form such a back-drop they virtually demand a Graham Spence soundtrack. 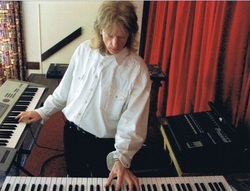 Early on he played memorable sessions with the late Melvyn Prichard of ‘Barclay James Harvest’ while based in Manchester. And since the productive publishing years commenced in 1991, there has been a generous millennium TV appearance, an intriguing accumulation of albums, extensive solo tours of Ireland - and as a support act thoughout England. 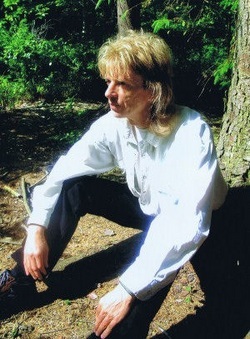 He has commissioned music for the therapy industry, and more dominantly, in 2008 the excellent instrumental ‘Land and Water’ was accepted for the documentary ‘Isles of Britain’. His music stands out as refreshing and relaxing. It creates an environment of adventure, freedom and sometimes has a hypnotic feel. It is truly an escapist sound and an antidote for the hectic 21 century.